Ogunbote laments as Rangers crash out of CAF Confederation Cup – Royal Times of Nigeria. Head coach of Rangers International FC, Gbenga Ogunbote has rued his side’s hard luck as they exited the Total CAF Confederation Cup on Sunday. 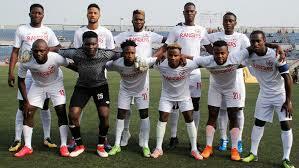 Seven-time Nigerian league champions and reigning Aiteo Cup champions, Rangers lost one-nil at home to Tunisian giants, Club Sportif Sfaxien despite a dominant display in a match day 6 Group B fixture inside the main bowl on Nnamdi Azikiwe Stadium Enugu. Efforts to wrestle the chestnut out of a burning fire by the Enugu side proved abortive as a combination of delay tactics from the North Africans and some more misses capped the day for the former Africa Cup Winners Cup champions. Ogunbote in his pre-match conference said that the match was not theirs to win, lamenting that the team had four balls hit the post and just the opponent’s only effort at goal went in. He however commended the players saying that they did their best under a very harsh condition. 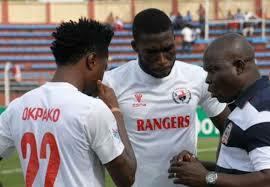 Ogunbote said the team will go back to the league to navigate their way back to the continent.